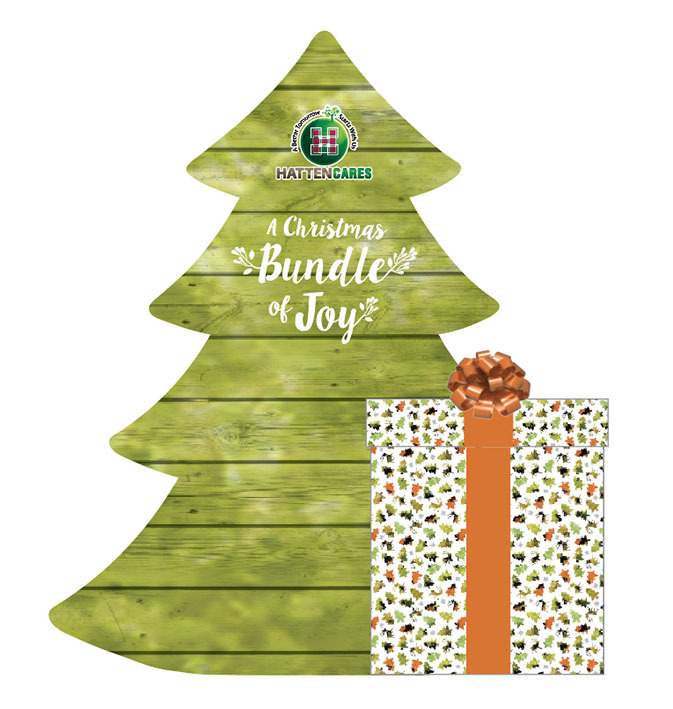 This year, Hatten Cares embarks on a larger than life Christmas Charity Campaign – “A Christmas Bundle of Joy” involving Media partners, member of the public and 4 charity homes! 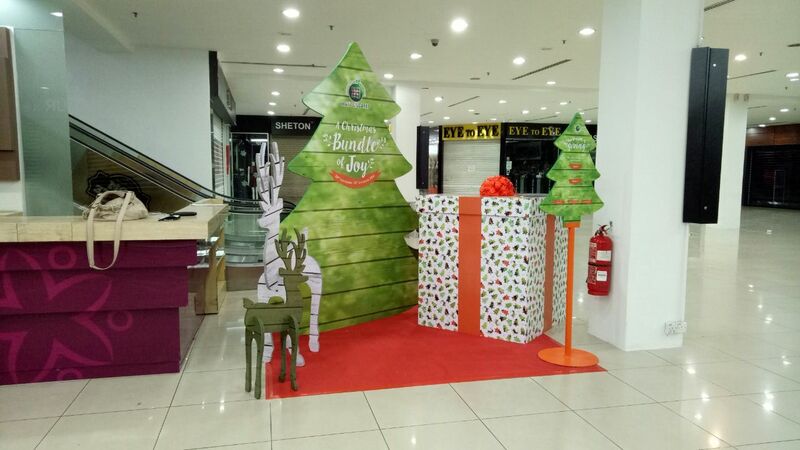 Measuring a whopping 4 feet (H) x 3.5 feet (W), the massive gift collection boxes are the main highlight where generous members of the public are encouraged to donate gifts of groceries and daily necessities to those in need. 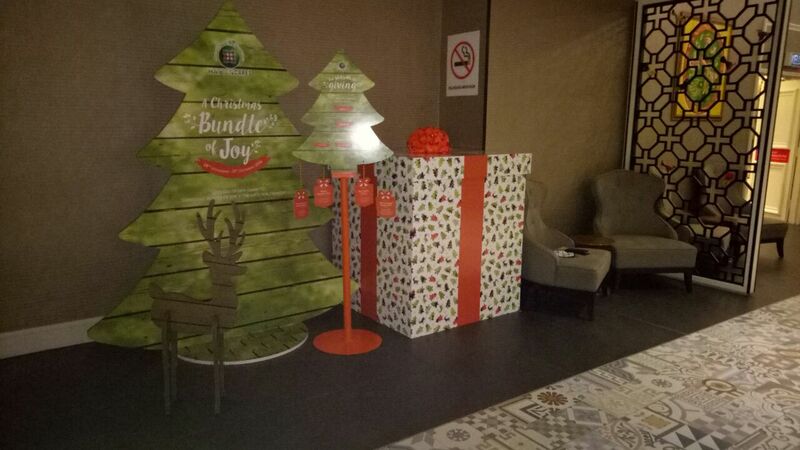 There is also the option of granting a child’s Christmas wish by purchasing a gift from the wishlists attached to the giant Christmas Trees located in DPMM and Estadia Hotel. 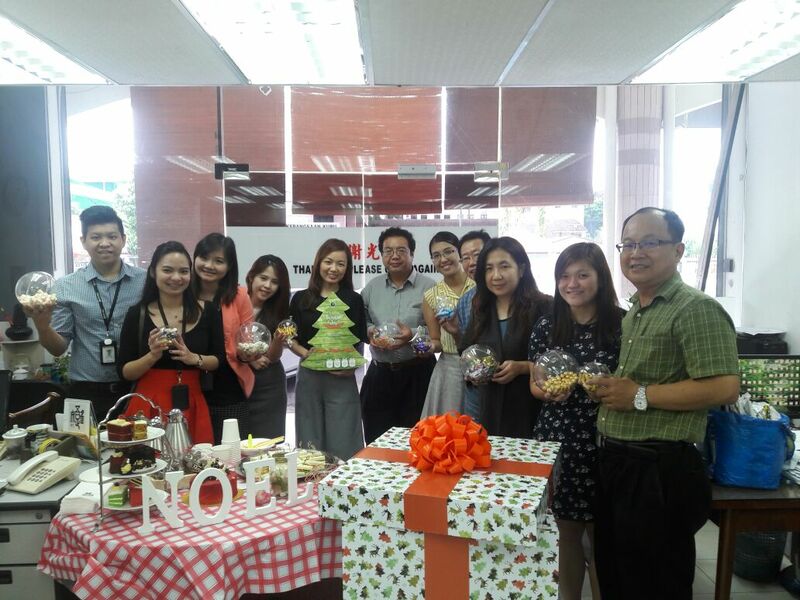 To submit their gift, donors can bring their unwrapped gifts to the DPMM Information Counter or Estadia Hotel concierge. 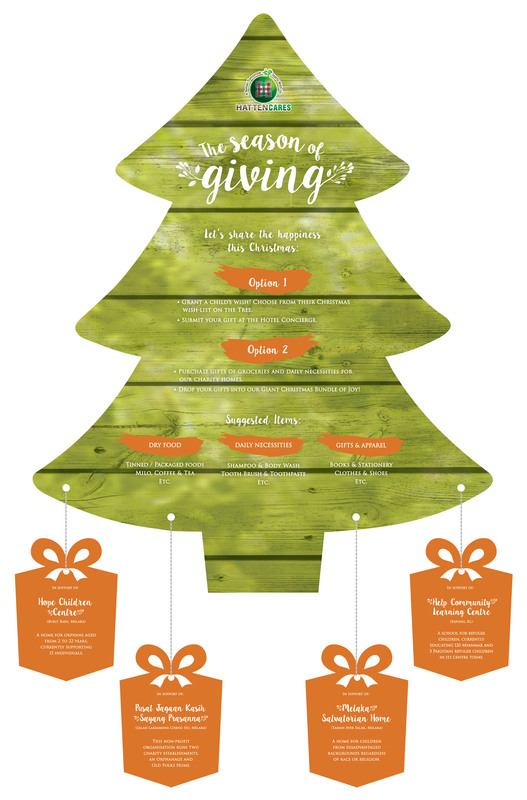 “We believe that the true spirit of Christmas is in having gratitude and by giving more back to society. 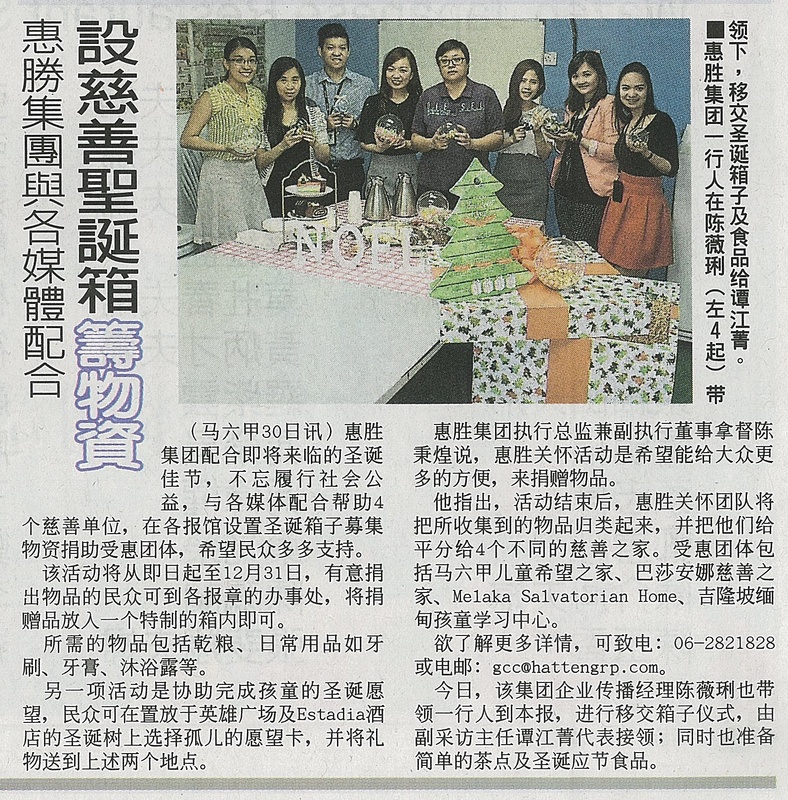 Together, we can collect more gifts, grant more wishes and make Christmas more meaningful for all.” ~Dato’ Colin Tan, Executive Chairman and Group Managing Director of Hatten Group of Companies. 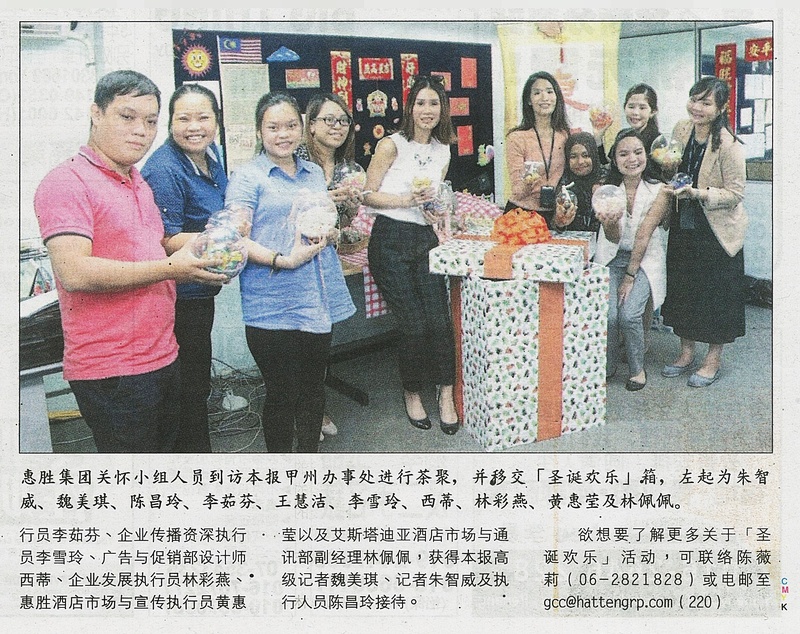 On 28th and 30th November 2016, the Hatten Cares team visited the 8 particpating members of the media to deliver the ‘Christmas Bundle of Joy’ gift collection boxes. 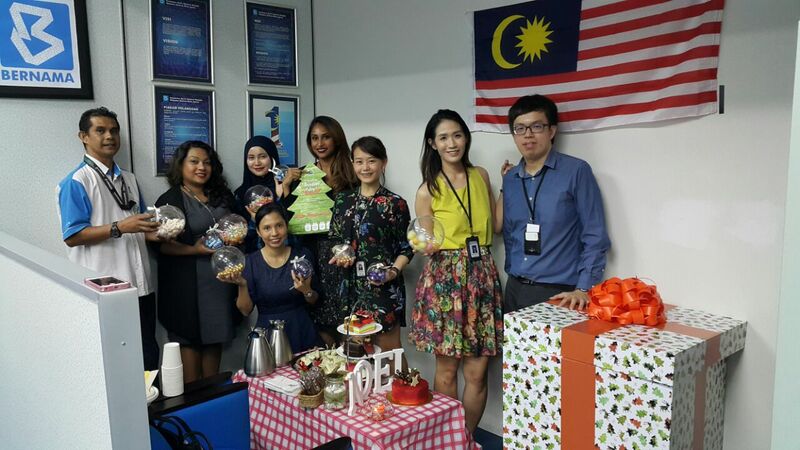 And, to spread some early festive cheer, Hatten Cares brought over a special Christmas Tea Party catered by Hatten Hotel’s top chefs right to the doorstep of each media house. A good time was had by all as the teams toasted to the success of the ‘Christmas Bundle of Joy’ campaign and to the start of a new year ahead. This entry was posted on December 8, 2016 by Hatten Cares in ♥ Random Inspirations ♥, Hatten ♥ Community, Hatten ♥ Wisdom and tagged Beranama, caring community, charity, charity campaign, charity home, China press, christmas 2017, christmas wishlist, Chritsmas Bundle of joy, colin tan, compassion, conscious community, corporate social responsibility, Dataran Pahlawan Melaka Megamall, edwin tan, estadia hotel, festive sharing, gift giving, hatten cares, hatten group, hatten hotel, Hatten Square, Help Community Learning Centre, Hoper Children Centre Melaka, life goals, malaysia, Melaka, Melaka Hari Ini, Melaka Salvatorian Home, Nanyang Siang Pau, New Straits times, old folks home, Oriental Daily, orphanage, philanthropist, Pusat Jagaan Kasih Sayang Prasanna Melaka, season's greetings, SinChew daily, The Star.